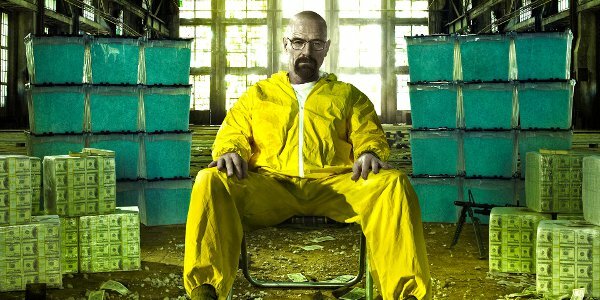 THE AWARD-WINNING drama series Breaking Bad could be getting a top-secret sequel-of-sorts to join the hit Netflix prequel series Better Call Saul. Deadline is reporting that a film has been in the works for some time and is set to begin shooting in New Mexico this month (November) with a view to production wrapping by February 2019. Though nothing has officially been confirmed, news of the secret project was first broken by the Albuquerque Journal. The most significant detail comes with the fact Breaking Bad creator and executive producer Vince Gilligan is directing the project. It will serve as a standalone film that could be released straight to AMC or as part of a mini-series potentially debuting on Netflix. There's no word on whether Aaron Paul or Bryan Cranston will reprise their roles. However, hopes are high that both could return with Deadline suggesting "the hope is that deals with close for actors to reprise their roles". One possible plotline could follow Paul's character Jessie, who made his escape into the desert at the end of the Breaking Bad finale but could yet find his problems are far from over. Alternatively, the film could bridge the gap between Breaking Bad and Better Call Saul though these suggestions remain purely speculative. Bryan Cranston in 'Breaking Bad'. The film is currently operating under the name Greenbriar and is working under the logline that it "follows the escape of a kidnapped man and his quest for freedom." Could that logline hint at a possible return for Jessie? It certainly suggests so. Quite where that leaves Cranston's Walter White is unclear. White was left looking - SPOILER ALERT - decidedly dead at the end of the series, though it was never fully confirmed. Any story focused on Jessie could, therefore, feature Walt in a series of flashbacks or currently living his days out in secret.